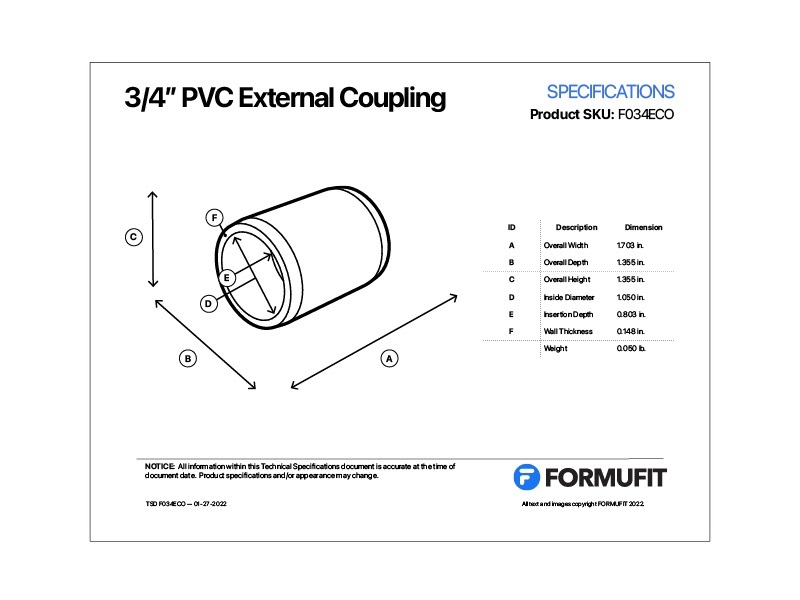 FORMUFIT 3/4" External PVC Couplers connect two segments of 3/4 in. 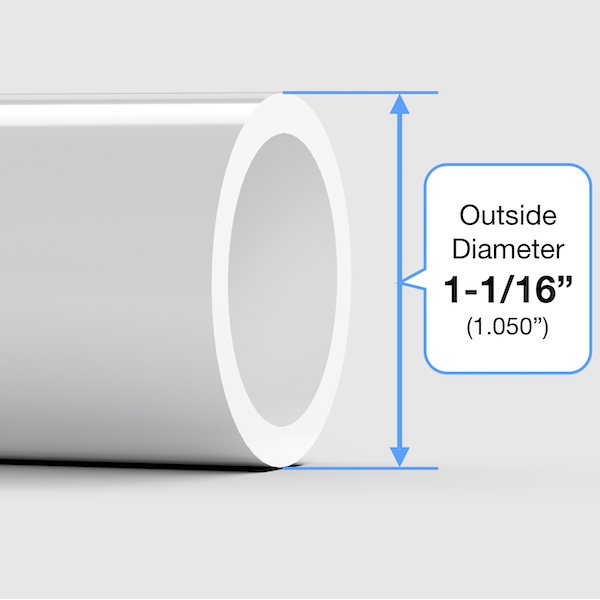 Size PVC pipe externally, leaving a smooth, slightly-raised connection. 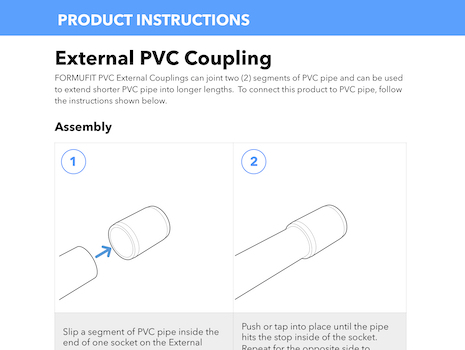 Join shorter segments of PVC pipe to make longer lengths, or create breakdown points in projects.